Designed for tsunami zones, especially areas still reeling from the devastating tsunamis of the last decade, the Right Way sign combines the functions of traffic signs with emergency routes in the city while being a general traffic sign during normal times. 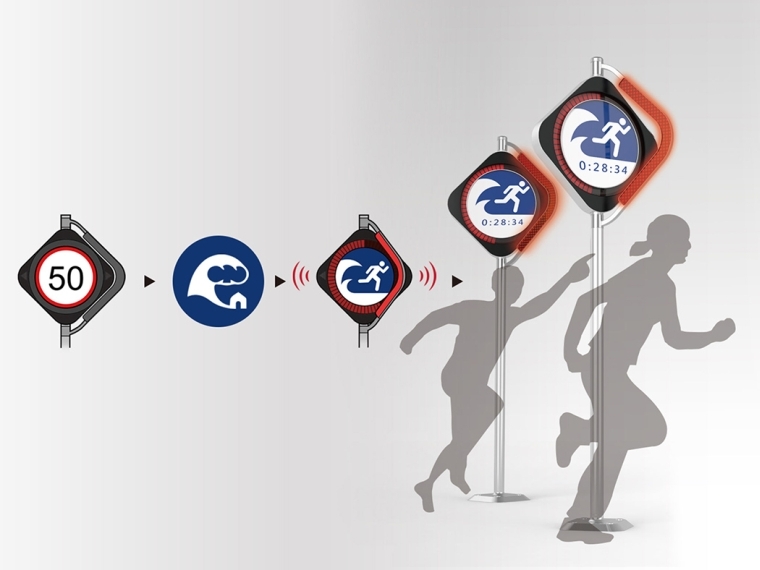 When Right Way receives a tsunami warning, it will instantly switch to evacuation signs that guide people towards shelters. People will always know the latest status of the tsunami to facilitate making decisions on whether and where to seek shelter or whether to keep running or flee into high buildings.